Sohna, or fondly known as South of Gurgaon, is a thriving real estate market that is expected to scale heights in the years to come. The area has ample commercial residential and industrial spaces available over here. Gurgaon is a leading industrial and financial hub of the country that enjoys highest per capita income and offers many benefits to all those investing here. The city is witnessing a flurry of people every year and has a strong housing demand especially in the peripheral areas. This is one of the key factors that the demand for property in South Gurgaon is reaching up since it is so well-linked to the ‘Millennium City’. Some of the other attributes that make the place worth consideration are: It is easily approachable from all prime locations of Delhi-NCR: Strategically established, it is easily accessible from major cities like Noida, Gurgaon, Delhi, and Faridabad. The premium Golf Course Extension Road is 15 kms from here and it allows easy commuting from Subhash Chowk, Rajeev Chowk, NH-8 and Hero Honda Chowk. The major landmarks like top educational institutes (GD Goenka World School, The Heritage School, Ryan International School, Ansal University, DPS, KR Mangalam University, etc.) health-care centres (Max Healthcare, Fortis, Artemis, Medanta Medicity) hotels (Westin, Country Inn, Vivanta (Taj)), MNC’s (Google, Pfizer, TNS Software, Cognizant, Huawei, Genpact) Retail & Entertainment Hubs (Big Bazaar, Spencer, Easy Day, Shopper’s Stop) are all located in close vicinity. The upcoming infrastructural projects like metro connectivity from HUDA City Centre, Badshahpur Flyover (an elevated road stretched for 2 kms) Orbital Rail Corridor, Kundli–Manesar–Palwal (KMP) bypass, and Delhi-Mumbai Freight Corridor will further enhance the connectivity of the area. These under construction projects in south of gurgaon shall allow smooth and hassle-free commuting to different areas of the city in all directions and will considerably reduce the travel time. Higher Returns on Investment: Owning to the scarcity of land in Gurgaon and Delhi, a larger chunk of the population is opting for investments in South of Gurgaon. This has led to a fall in the property prices in some prime localities of Delhi, while the rate remained static in Gurgaon and Noida paired with discounts and schemes being offered in order to attract the buyers. 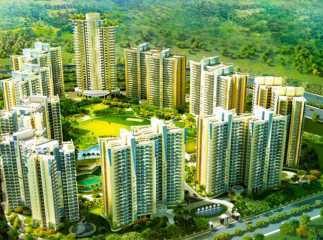 As per the realty experts, it is expected that the property prices in South of Gurgaon will continue to appreciate for the next few years, say till the year 2031. The outsourcing industries hiring lakhs of people every year and manufacturing factories like Maruti and Honda shall also contribute to the soaring housing demand in this region. Over 250 Fortune 500 companies have their offices in South of Gurgaon and as these companies continue to grow further, the housing demand will subsequently increase. 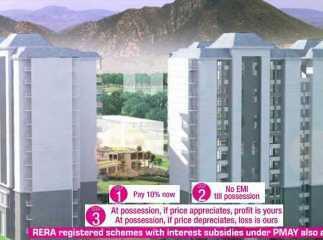 There are ample of options available in this area in the affordable housing segment that would fit everyone’s pockets. 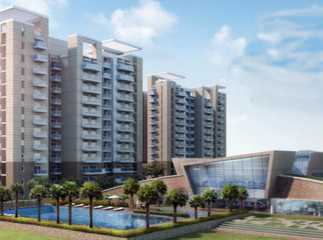 Hence, investing Residential apartments in South of Gurgaon brings with its several other advantages like connectivity, excellent infra-facilities, and competitive prices. A home to world-class facilities and infrastructure, it offers you a clean, green living experience at pocket-friendly prices. 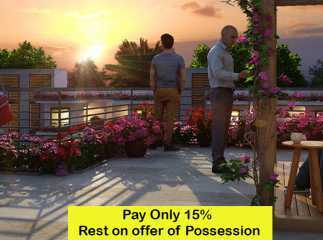 Raheja Maheshwara, Central Park Cerise Floors, Eldeco Accolade in Sohna are a few of the noteworthy properties in South of Gurgaon.